81 ACRES WITH 2 MCQW TAPS INSTALLED. 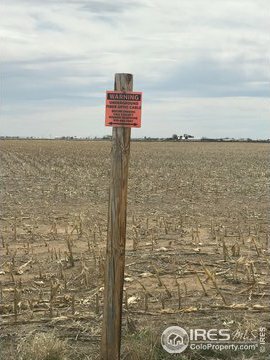 This property has potential to build or subdivide with power lines and fiber optic available along the north side, natural gas is available off County Rd I. 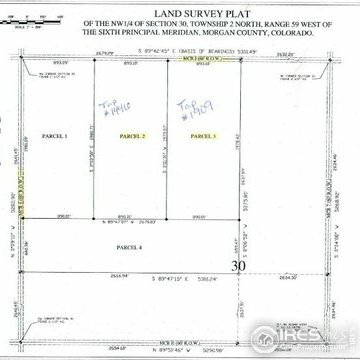 Land survey plat was previously done by owner to separate into Parcel 2 (40.53 acres) & Parcel 3 (40.50 acres). Not in a subdivision or HOA. 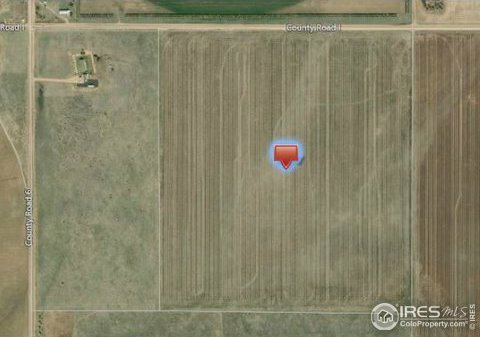 Is currently leased farm ground with annual income, no crops have been planted yet. Located in the Wiggins School District under an hour to DIA. Electricity within 100 ft., Natural Gas within 100 ft. Listing courtesy of Berkshire Hathaway-Greeley.